Crossfit Burleson will be. Let us show you how. 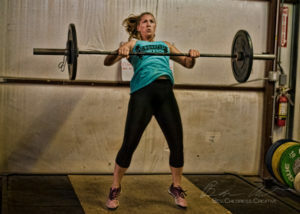 No more excuses… Crossfit Burleson is here to help! THE FIRST STEP IS YOUR FREE INTRO! We’ll get to know you, provide a tour of our gym, and see if we’re a good fit for you. No pressure. We go above and beyond to give you the best experience possible! By offering regular check-ins, coach-led small group training and a well thought out array of fitness services to help you reach your goals. The first step is always the hardest. We are here to help. No matter where you are in the fitness journey, we can help take you to the next step. We will get to know you, walk you through a quick tour, and see if we are a good fit. No pressure. Everyone is different. Taking time to get to know what makes you YOU is an important first step to changing or building on a habit. On your way to a new you! This is where it gets fun. You build confidence, get stronger, and have fun along the way. Welcome! This really is a sport for everyone when you have the right coaches and community behind you!